Thanks, Michael. You seem to have a great supply of bugs too, judging from your many posts and excellent photography. You have such pretty visitors. Always enjoy your videos. Thanks, Emily. I was lucky to catch the b. Melanopygus this year. Last year it appeared early, but sort of disappeared in the late spring and summer. It’s such a colorful one with that orange stripe on it’s abdomen. I totally agree with you there. When we moved into this house there wasn’t much insect life. Now even the birds became more because we don’t use anything to kill the insects. The Hadedahs and other birds eats the termites and crickets that damages the lawn, the ladybugs eats the aphids that are on the creeper by the pool and we even have a few dragonflies here and of course, the monkeys love looking under the rocks for crickets and bugs and they eat some of the flowers and berries, so if any insecticides are used, it will harm them as well. I normally used washingpowder with a little bit of vinegar in for the aphids but when I saw the first bees and ladybugs visiting, I became afraid that it might hurt them too. Do you know if it does? I read your poetry and try to respond with a witty rhyming ditty. As you can see, I’m wildly unsuccessful. You have a gift. Looking forward to reading more. Your photography is so amazing! I love the shot of the pollen release. WOW! Are mites present all the time? Very interesting. I don’t keep bees myself but you may know that the varroa mite has been devastating to New Zealand bees. Living in NZ as I do, I was so surprised when I realised that you had a different attitude to the mite than the officials do here. This is an education for me. Trying to decide whether that was grooming or moving the pollen about. Whichever, an interesting close up of a garden pal! 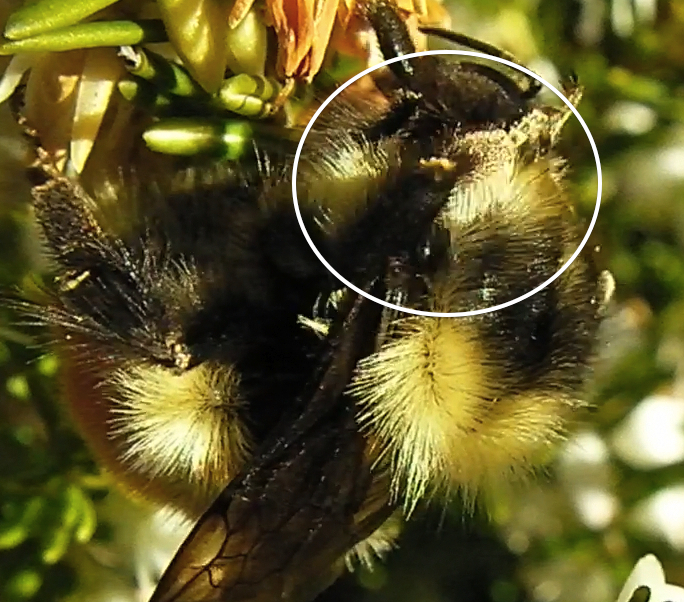 Beautiful video of bumblebees enjoying a light snack on a warm January day. 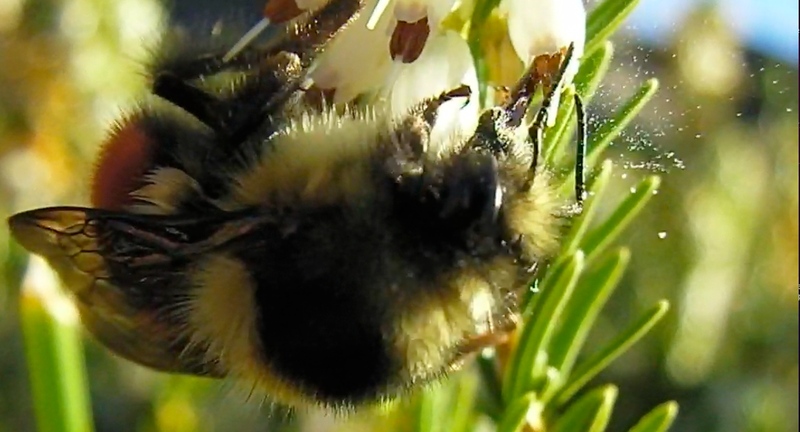 I’m intrigued to know more about bumblebees, a shame we can’t ‘keep’ them! Your videos are great. 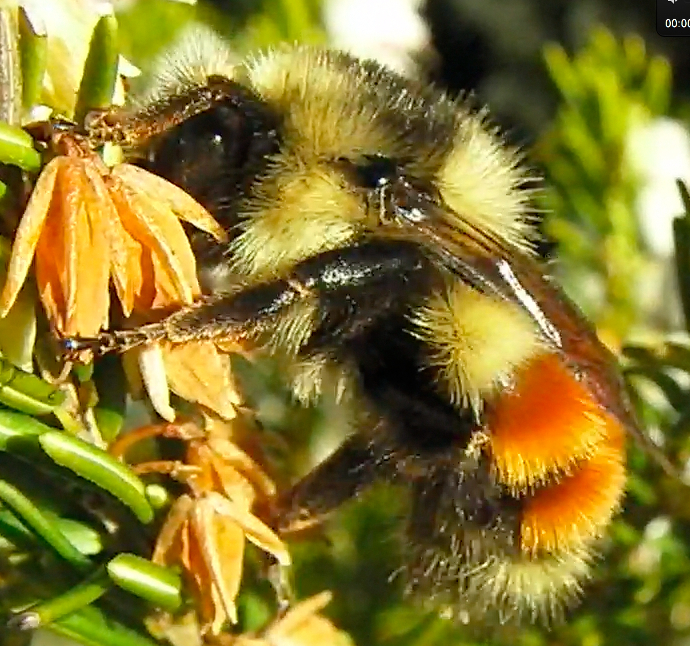 I really enjoyed watching your bumble bee on the heather. I managed to plant two small plants last year and I am amazed that these ones can thrive on my limy soil. I’ve seen no bees on them yet, though.